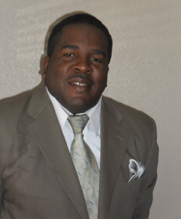 Stanly Williams is the President of the Board and Co-Founder of the Fatherhood Support Network. His passion for developing resources to support alienated fathers stems from his personal life experiences. As a father of three, he has experienced the challenges and frustration of navigating the legal system to obtain joint custody of his children and a fair determination of child support payments. At the same time, in going through years of battles inside and outside the courtroom, he has also experienced the power of having a solid support system available through family, friends and complete strangers who simply wanted to help a father who was trying to be there for his kids. Stan’s commitment to the community, and youth in particular, stems from the positive benefits he gained throughout his childhood and early adulthood from having role models and athletic coaches who made a personal investment in his development and well-being. He now in turn hopes to become a community leader and positive role model who inspires youth in his local community as well as fathers throughout the United States to not only maintain an active role in the lives of their children but to offer support to other fathers in need. My main objective in CO-FOUNDING THE FATHERHOOD SUPPORT NETWORK was to comfort, encourage, and inspire fathers (throughout the United States) to not give up on their kids no matter what they’re going through… While the road may be long and painful, it’s more than worth it to make every effort to continue to maintain an active role in the life of your children. And while you’re overcoming your daily challenges and obstacles, you don’t have to go through it alone. The Fatherhood Support Network is here to help. It was organized to help fathers who are feeling alienated and feel like giving up because they don’t have adequate emotional support and resources. Just as the life of your children is valuable, I also want to remind you that your life is valuable as well. This is important to say because so much attention is given to the kids and the mothers that fathers are too often forgotten about. However, at the same time, we as men and as fathers have to learn how to take better care of ourselves not just physically but emotionally and mentally. For many of us as men, this means learning to put our pride aside and having a willingness to show our vulnerabilities and to admit when we need the help, support and love of others. Help is here and available. It’s up to you to take advantage of it.